In July 1999 Darren & Tania met for the first time, performing as Simply Red and Cher alongside Meatloaf and Tina Turner for a corporate function at Nissan motors, Sunderland and have been together every since. Darren Alboni is a London based singer/songwriter, he started in the tribute scene back in 1991 after appearing on, and winning, his heat in Granada Television's "Stars In Their Eyes" as Simply Reds Mick Hucknall. For the following two years he toured with his Simply Red Tribute band “Wonderland” and performed at every working mans club in the North East of England, that lead on to touring the country to theme pubs, holiday camps and the cabaret circuit. Performing live at venues across the UK and abroad over the years has given him great experience working with every type of audience, and venue. Darren has performed at the Café Royale - London for the Arsenal Football Club at their Championship presentation dinner, he also appeared at The Commodore - Nottingham for Nottingham Forest FC's Premier League Promotion Celebration. Tania Alboni has been a professional singer since 1997. She began her career in a Commitments tribute band where she sang both lead and backing vocals. Tania has always had the ability to mimic voices since childhood, she used this talent to start a career in the tribute world, starting with her uncanny impersonation of Cher which still takes her across the globe to this day, performing in front of thousands alongside artistes such as Marc Almond, The Venga Boys, Heather Small & Beverly Knight. She was also part of the Variety Show Of Dubai with Tom O’Connor. Tania, using her uniquely adaptable voice then added a variety of impersonations to her show, beginning with country rock legend Shania Twain. This then lead on to the soft melodic vocals of Karen Carpenter, The distinctive brit pop vocals of Sophie Ellis Bextor, The beautiful harmonies of ABBA, The intensive Latino flavour of Shakira and finally the vocal Tania is most highly acclaimed for, the gut wrenching soulful vocals of Amy Winehouse. This has taken Tania around the world and back again, performing on numerous TV shows, advertising campaigns, newspapers, magazines. For a number years Tania has been working alongside her songwriter/producer husband Darren Alboni, laying down lead vocals on his extensive catalogue of original tracks and also providing backing vocals for his other artists. In 2012 Tania discovered she too had a penchant for songwriting and began work on what was to be her debut single as an original artist. “Mr Lazy Good For Nothing” was released on iTunes in the summer of that year and became a firm favourite amongst North-West England’s gay club scene. The song shows off Tania’s powerful and soulful vocals, and along with her female empowering lyrics and feel, her style often draws comparisons to songs and artists from the 90’s club classics era. 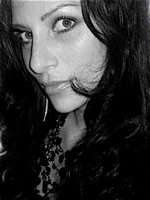 Later that year Tania was also approached by top Ministry of Sound DJ and Producer Lee Osborne to collaborate on a trance track Lee had musically produced and written previously. Tania then wrote the melodies and Darren wrote the lyrics. by request of Lee, Tania adapted her vocals to make them soft and haunting to fit in with the trance style. The track “Pirouette” has been taken on by a dance label and set to be released end of 2013. Adele released the song at 12.03 am on a Saturday morning. by the following afternoon Tania had recorded the full song and sent it over to the producer to finalise the track to make the deadline.